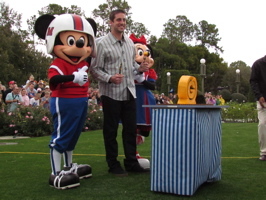 We went to the Magic Kingdom today to see Super Bowl MVP (From the Green Bay Packers) Aaron Rodgers as he paid a visit to Walt Disney World! 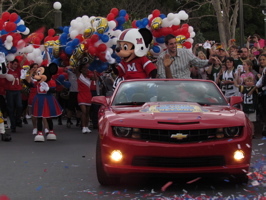 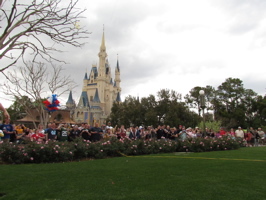 Rodgers was honored in a motorcade (below, left) and was seated next to Mickey Mouse (below, right). 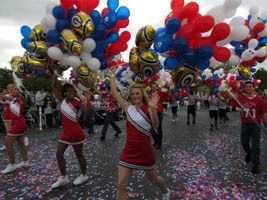 Cheerleaders carry balloons down the street including the Super Bowl champion Packers (below, left). 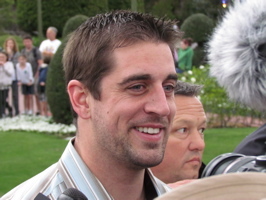 Rodgers then greeted the media in the Rose Garden (below, right). 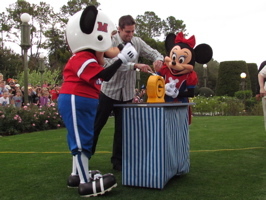 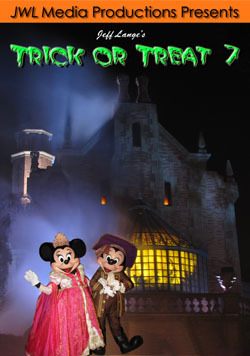 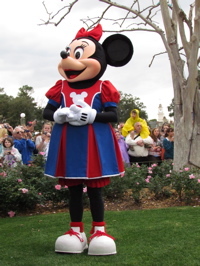 Minnie Mouse (below, left) stands near Rodgers (below, right), as a surprise is readied for him. 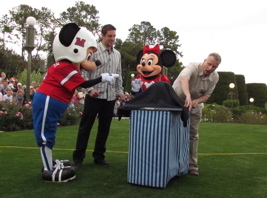 Mickey and Minnie (below, left) help unveil a block of cheese in the shape of the Green Bay Packers logo (below, right). 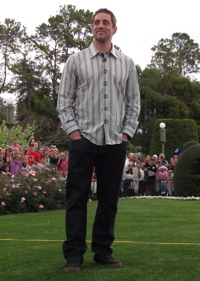 He proceeded the slice the cheese, as the crowd chanted “cut the cheese”! 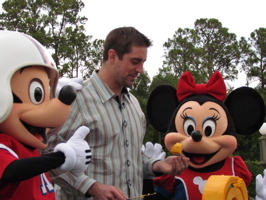 Rodgers sampled the cheese (below, left), and then posed with Mickey and Minnie (below, right). 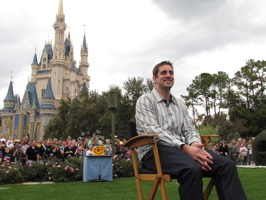 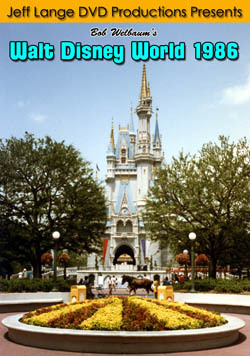 Rodgers answered questions (below left and right), while standing and seated in front of a view of Cinderella Castle. 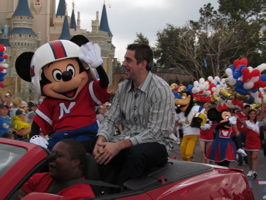 Video – Super Bowl MVP Aaron Rodgers visits Walt Disney World 02-07-11 – Super Bowl MVP (From the Green Bay Packers) Aaron Rodgers visits the Magic Kingdom at Walt Disney World on the afternoon after the Super Bowl. 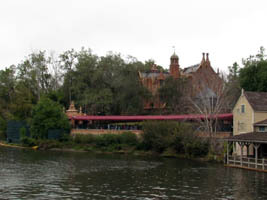 We had the chance to ride the Liberty Belle Riverboat on Saturday, allowing for a view of the construction on the Haunted Mansion queue (below left and right). 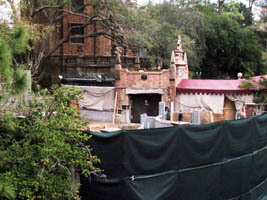 We had been told that it still will be a few months before the queue is complete (below left and right), and that it definitely will have an interactive element to it. 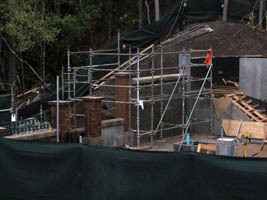 Click HERE for additional larger sized photos of this ongoing project. 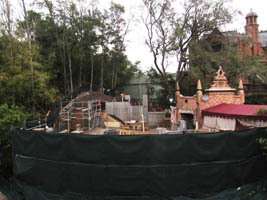 Video #2 – Haunted Mansion Interactive Queue Construction 02/05/11 Magic Kingdom Walt Disney World – The Haunted Mansion queue construction at the Magic Kingdom as seen from the Liberty Bell Riverboat. 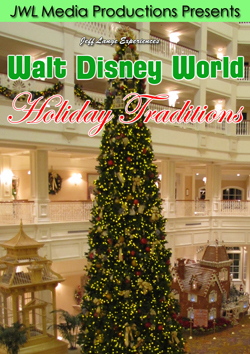 Latest Release – The Splendor of the Holidays at the Walt Disney World Resorts! 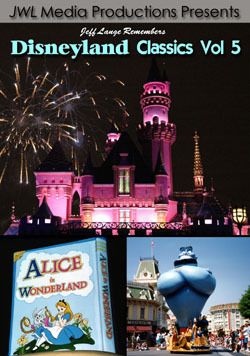 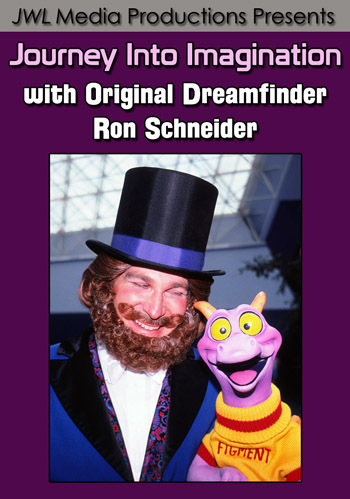 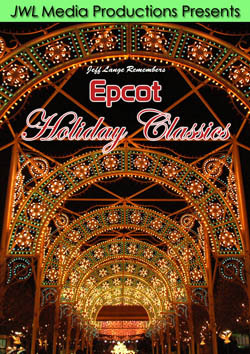 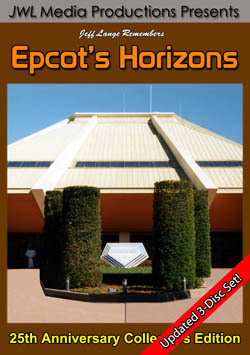 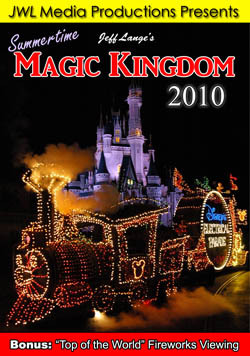 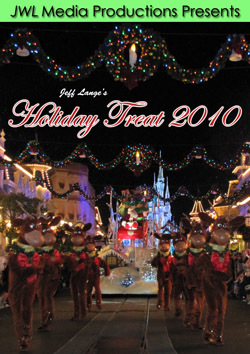 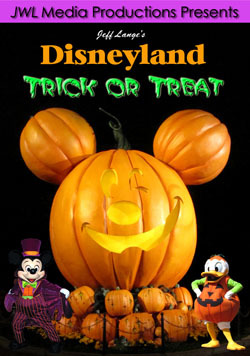 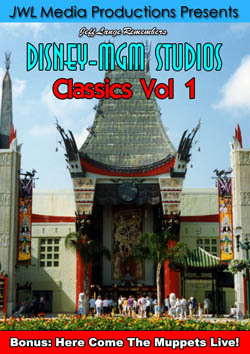 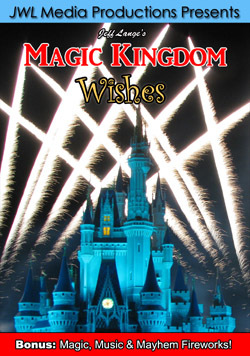 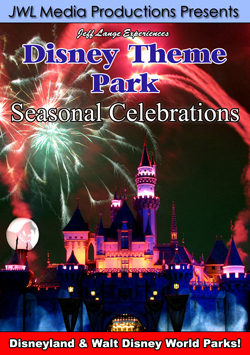 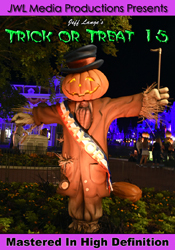 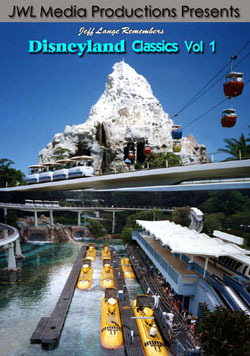 We offer a full range of Holiday Titles from Disneyland and Walt Disney World Including Epcot’s Lights of Winter HERE! 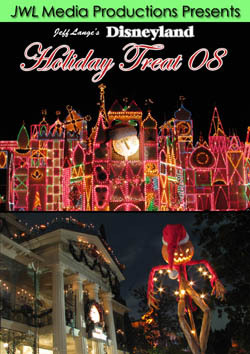 (Click covers below for more information).